Quadrifoglio Mega desks range is a melamine integrated system, with straight, curved and compact desks and a rounded edge profile giving a user-friendly ergonomic feel. Mega furniture is available with 5 different leg frames, Panel ends, Net leg, system, jet and Ypsilon frame in white, silver, black or chrome and 5 different top finishes to create many different looks. 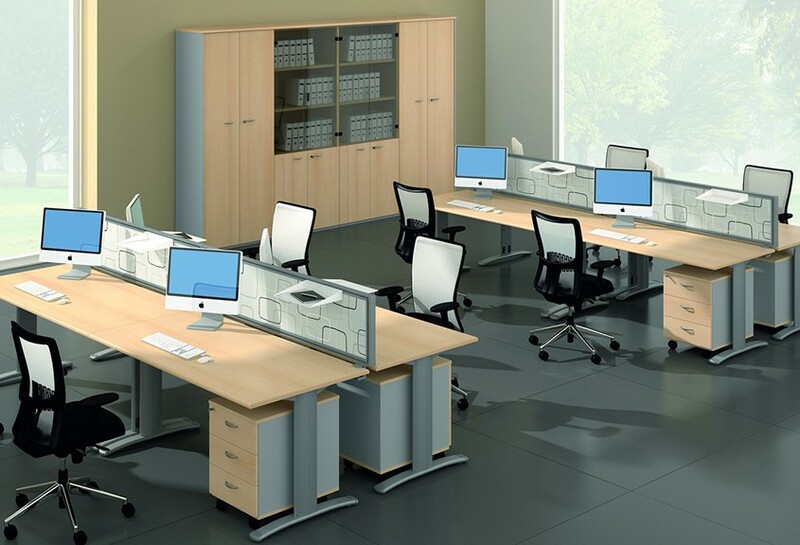 Quadrifoglio storage to match the Mega range of desks comes in many variations of size and functionality, plus finishing tops combine storage units for a cleaner finish. 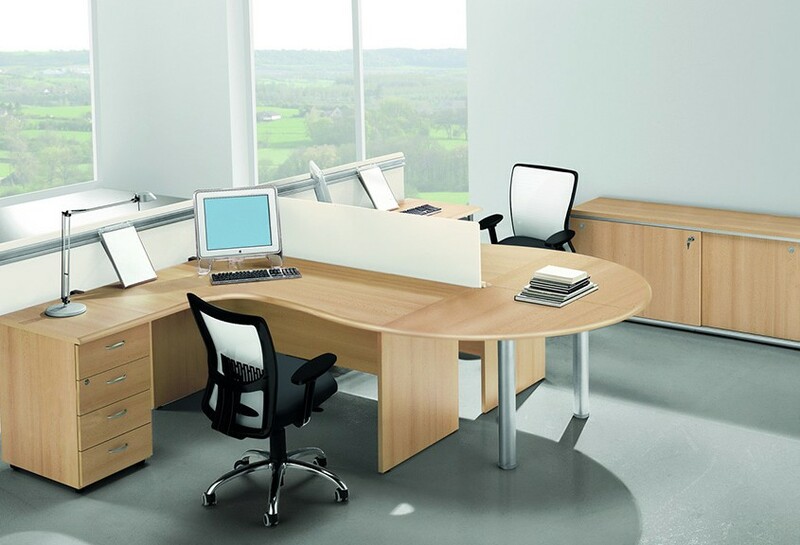 Floating tops on pedestals and small feet give a very modern individual look to Mega desking and return units. A furniture system thought to interpret in the best way the working place where functionality, flexibility and personality are daily needs. The desks have been studied with 5 types of structures and several finishes to create a custom-made place. Typical, fixed metal leg with supporting beam to personalize and create working units, from operative to executive desks. The desk edges are rounded in accordance with the ergonomic criteria, sharing the working place in perfect harmony, arranging single workstations to get always better results without limiting your way of working, the high density of people in the working places can be solved with workstations with different privacy levels and ergonomic, shaped desktops, shaped or straight desks with System legs: a simple, clean and elegant style. 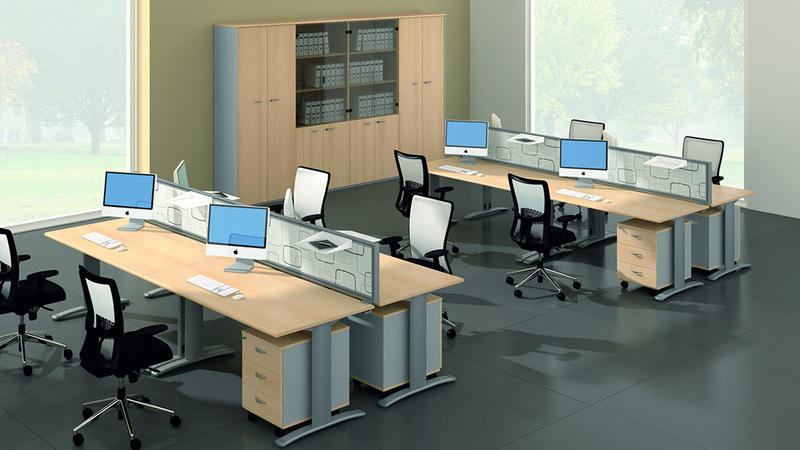 According to the various, functional and aesthetical needs, this line adapts itself by changing the structures, the shape and the dimensions of the desktops adding the linking tops and the extension units, operative working posts with side by side desktops. 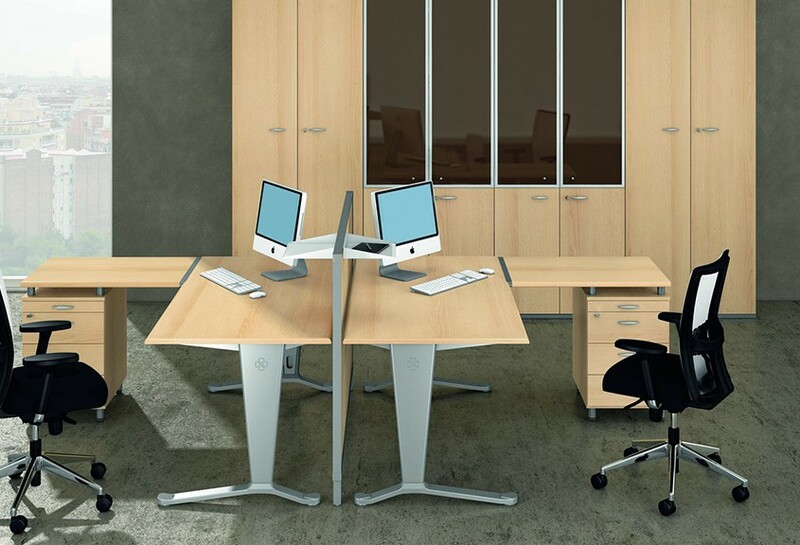 To divide one desk from the other you can add the screens, equipped and functional. Different solutions even with the multiple posts: using screens the common space becomes chance to gather without dividing and each post won’t lose its individuality even when there are soft curves, the working scenarios are always changing, new needs arise, rooms which can welcome many persons, open spaces which can keep the privacy for each post. The combination of desks and screens solves these needs. Efficient and organized. 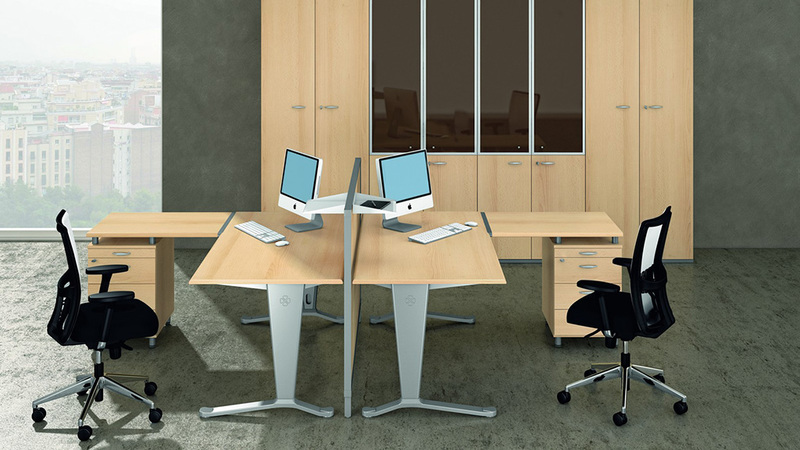 Desks which combine ergonomics and functionality thanks also to the height adjustable leg. 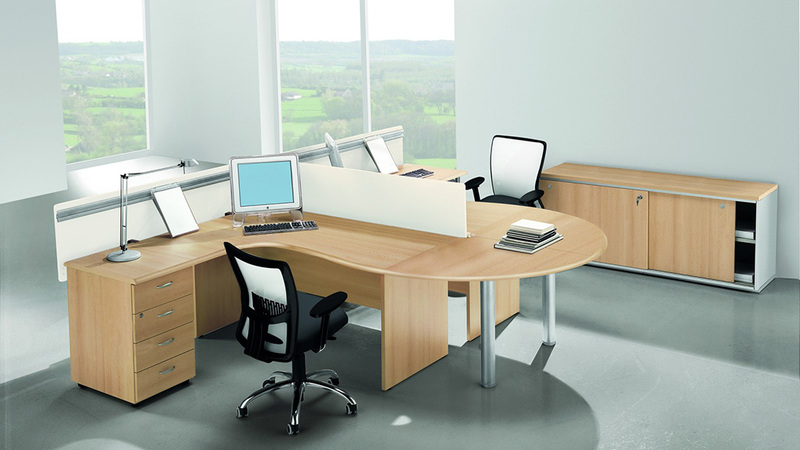 The desk with its measured dimensions becomes part of and exalts the working place, the operative places can be changed or extended according to the daily needs. Mega line allows the change thanks to the integration of desktops and also thanks to the legs, height adjustable with screws. Practical, fashionable and classical at the same time, Mega Pannell plays a leading role in helping you to furnish the working places with the utmost rigour and functionality, snug tradition and modernity create places where elegance and skill meet performance and image, straight, shaped, compact desks: a complete and flexible line which allows to furnish and personalize every working area, decorating it with a wide range of accessories.